This comes from BirdLife Cyprus’ research officer Mike Miltiadou, and shared by Melpo Apostolidou: Waterbirds that bred on the island this year. 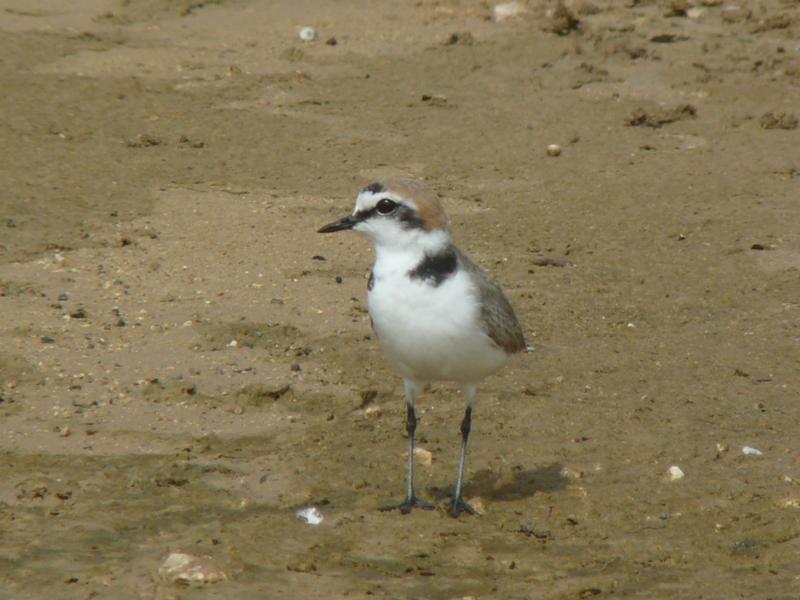 BirdLife Cyprus conducts yearly waterbird breeding counts. This year’s total of waterbirds species nesting on the islands wetlands was 18 with one species of grebe, four species of herons, one ibis, five species of ducks, two species of gallinules, five species of waders and one species of Tern. Glossy Ibises Plegadis falcinellus had a successful second year at Famagusta Lake with five pairs producing 19 fledglings. These are good news as the species has a non favourable conservation status at European level and this is only the second year the species nests in Cyprus. At the same lake a total of 104 pairs of Cattle Egrets Bubulcus ibis nested along with two pairs of Black-crowned Night Herons Nycticorax nycticorax, five pairs of Little Egrets Egretta garzetta and three pairs of Squacco Herons Ardeola ralloides. One pair of Little Egrets along with two pairs of Night Herons nested at Kanli dam. Other highlights came from the duck family with the nesting of three pairs of the globally threatened Ferruginous Ducks Aythya nyroca at Kanli dam, the first time this species nests outside the Akrotiri wetlands. Single Shoveler Anas clypeata pairs nested at Oroklini Marsh and Larnaca Sewage Works. Two pairs of the beautiful Red-crested Pochards Netta rufina bred successfully at Oroklini Marsh. The wading species also had a successful year. Black-winged Stilts Himantopus himantopus had 35 pairs nest at Akrotiri Salt Lake while last year we only had 2 pairs there, another 39 pairs at Oroklini Marsh and 24 pairs at Mia Milia Sewage Works. Smaller numbers were recorded at other wetlands. Spur-winged Lapwings Vanellus spinosus were very productive at Mia Milia Sewage Works with 17 pairs, seven pairs at Famagusta Lake, ten pairs at Oroklini Marsh, eight pairs at Larnaca Sewage Works and seven pairs at Kanli dam. Kentish Plovers Charadrius alexandrinus were very prolific during June at Akrotiri with a total of 35 pairs while only 21 pairs nested at Larnaca Salt Lake. Several hundred Coots Fulica atra and smaller numbers of Moorhen Gallinula chloropus, Little Grebe Tachybaptus rufficolis and Mallard Anas platyrhynchos nested at natural wetlands and dams all over the island with Kanli dam recoding the highest number of Little Grebe pairs – a total of 22 pairs. Only six pairs of Little Terns Sternula albifrons nested at Larnaca wetlands along with another pair at Oroklini Marsh. Overall this was a good year for waterbirds possibly due to the late spring rains! Wetlands not only serve as important breeding and resting grounds for birds and other animals, but also perform invaluable ecosystem services, through regulating and purifying water, preventing floods, enhancing soil fertility and many more. Wetlands are amongst the most important ecosystems on earth, but they have declined as much as 60% especially in the developed world, so protecting the remaining ones is an imperative. This article was included in this month’s BirdLife Cyprus In-Flight e-News email. If you want to join BirdLife Cyprus click here, or to only subscribe to the monthly newsletter then click here.